Here is a setup for a half ice practice session. 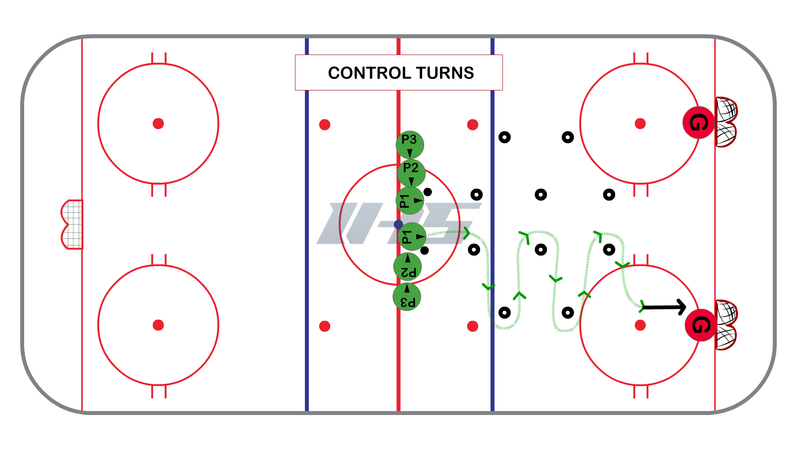 This series includes four drills that work on puck control and skating skills. 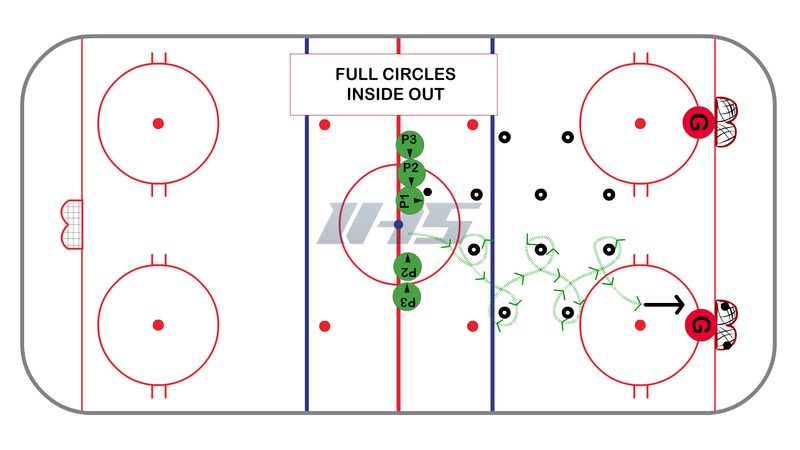 This setup uses the ice efficiently and allows players a good number of repetitions. Have at least one coach monitoring each line to help players with the fundamentals. Players slalom throught the tires or cones as shown. Players should use outside edge of inside leg. Players should lead with head and upper body. Control puck with closed blade, if blade is open they will lose control of puck. Be sure to use a closed blade. Encourage players to keep head up. Use C-cut to iniate backwards control turn. Lead with upper body (rotate chest towards inside of turn). Keep blade closed to control puck. Players should stay on balls of feet especially transitioning forwards to backwards and backwards to forwards. Keep head up and looking forward. Keep blade closed when controlling puck around tires. Half ice slalum through cones quick shot on goalie.